Does this email reach you on a hopeful day? That’s certainly what we would wish for, but it will never be true for everyone. Sustaining hope when life is not going exactly as we would like is surely one of the most profound challenges of an inwardly mature life. If I think about my years of writing, the theme of encouraging myself as well as readers in the hardest times stands out in stark relief. I don’t plan ever to write a memoir. There’s enough memoir in my writing already, especially in Seeking the Sacred. But I can certainly see how the story of needing and finding hope – repeatedly in difficult situations – runs through my work and through the decades of its creation. It’s self-evident that as our needs change we will experience hope differently. Sometimes it’s insight we seek, or greater clarity. Sometimes it’s the courage to leave behind a difficult situation or to discard an attitude or behavior that’s limiting us or hurting or limiting someone else. 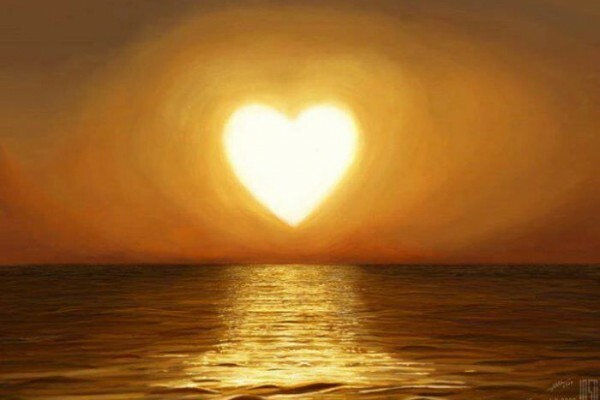 Sometimes we are pushed to reassess the values we rely on, bringing to mind the catalyst that allowed me to write Forgiveness and Other Acts of Love: that what we pay attention to will grow stronger in our lives. Choosing is crucial. And rediscovering the confidence that we can choose. This is a year in which I have increasingly been writing about appreciation. Just a few days ago I posted these words on my Facebook page: Perhaps the most fundamental choice we will make today is between an attitude of appreciation – or criticism. Do we dare move through our day recognizing that each moment of connection with others will lift their spirits – or lower them? This is the power that we ALL have, however “powerless” we may temporarily feel. In living appreciatively, regardless of whether our own agenda constantly prevails, we will always and also help ourselves. All the great teachers have made this clear. Contemporary research simply backs it up. Please do have an extra-appreciative day. It is often hard to think about appreciation if we are struggling to cope. Yet appreciation is more than just a value or attitude: it is like rescue remedy for the soul. It switches on a sense of active connection to what will sustain us. It lets us remember what is tender, moving or consoling, even on a bleak day. There’s no “should” here. You needn’t wonder whether “good” people are always or uniformly appreciative! I see it quite differently: that we can allow a more active experience of appreciation to soften and support us. Those of you who have been with this Network for some time or have read my books will know that one of my favourite sayings is, “We do not see the world as it is; we see the world as we are.” There is always suffering to be healed or regretted; sometimes we cause it; sometimes we are its victims. Yet if we can stubbornly appreciate the spiritual comfort, friendship and consolation that are also available to us, we will move even through those hardest times with greater courage as well as hope. I am sure of that. Reading activists? Special news for you is that my book on the visionary poet Rainer Maria Rilke, In the Company of Rilke, has just been published in the United States. That edition is also available in the UK and Europe. Please don’t assume that a poet or poetry is not for you! Writing this, I wanted to persuade you to discover a new relevance and reverence for what Rilke accurately calls “the deepest things”. Reading and thinking about Rilke – living through years in his company – has significantly shifted how I experience life in all its moods. It’s not that I regard Rilke as a saint or a hero. But he is genuinely visionary and in his prose and copious letters, as well as his poetry, he lets us discover a bigger view of who we are and what we can encompass, wonder at, or even endure. The book includes over 90 poems and lots of discussion of Rilke’s highly unconventional life and relationships, as well as his writing. If reading it moves you, don’t hesitate to let me know on Facebook or share your experience on the Amazon book site where positive readers’ views really do make a difference. (You can write a short review there of any book that you love. It’s a powerful way to make good use of social media.) A link for ANZ book buying is just below – and of course I also want you to support your precious and dwindling local bookshops. Rather listen than read? 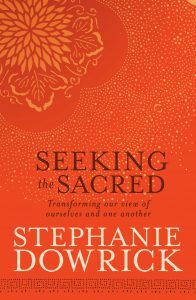 The discounted offer of the Audio edition PLUS the print edition of Seeking the Sacred is still available but only through the Seekbooks on-line bookshop. This on-line bookstore is also the sole support for this Network and my website (and Facebook page). All books are discounted with access to over a million titles. Postage is $6.95 total however many books you buy. Thank you so, so much to those of you who are using it. Your loyalty and support are truly invaluable. I couldn’t continue this Network without you. New recommended books include Anna Funder’s novel, All That I Am. Some of you may have seen my recent review in the Sydney Morning Herald. I have also just posted that review on the news blog on my website. And I’ve added Anna Goldsworthy’s Piano Lessons, a book that will delight those of you interested in classical music (it describes the “making” of this young, sensitive, self-aware pianist; it’s also a lovely picture of a creative family life). Scroll down on the bookstore site for a quite wide choice of “recommended” books, old and new. Details below about the bookstore, as well as the hugely uplifting Interfaith services in Sydney. Would really love to see you there – and please always let me know you are part of this Network! That means so much to me. We are now recording the talks that are part of the services. The most recent of my videoed talks was on the exquisite theme of stillness. To hear it, just click on this link – and don’t hesitate to send the stillness link or this Newsletter on to others who may benefit. There are more video talks on my website (including “Lessons from the earth”). To leave you, I offer some words from Rilke. It’s perhaps one of the most famous passages from his writing and always rings true to me. These spiritually inclusive services are held on the 3rd Sunday of each month at 3 pm (except January). Gathering momentum since 2006 they may meet your needs for a time of unconditional acceptance, deep peace and spiritual renewal. The teachings and music are invariably uplifting. This month we hear music from Heather Lee and Kim Cunio. They are Australia’s leading sacred musicians, bringing so much to our services with exceptionally beautiful music. Details: Interfaith with Reverend Dr Stephanie Dowrick. Pitt Street Uniting Church, 264 Pitt Street, Sydney 2000. Nearest cross street is Park. Some street parking. Excellent public transport (nr Town Hall). Services around 75 minutes. Tea, coffee – and an unconditional welcome to all. The bookshop is a portal to Collins/Seekbooks where you can order safely and at a small discount from their complete range. All sales directly benefit the Universal Heart Network via a small refund. Postage is pegged at $6.95 for an unlimited number of items. Special offer currently for Audio book and printed book: Seeking the Sacred. Stephanie’s latest meditation CD, with music from Kim Cunio and Heather Lee, Peaceful Mind, is also available. Have you “liked” Stephanie Dowrick on FACEBOOK yet? Visit and engage!